Saudi Arabia is seeking to attract 1.6 trillion riyals (nearly $429 billion) in private sector investment over the next 10 years for an infrastructure and industrial program, according to an announcement over the weekend and at an investment conference in Riyadh today. Investments will be made through the National Industrial Development and Logistics Program (NIDLP), one of the programs set out under Vision 2030, Reuters reports. 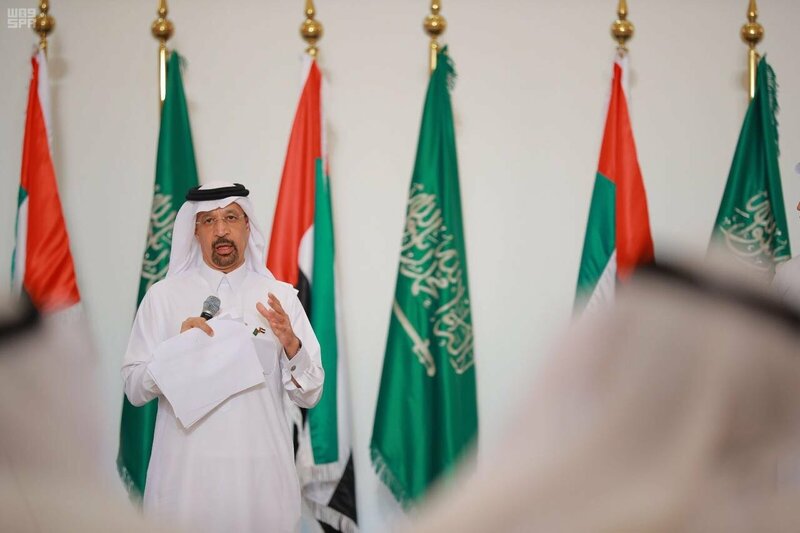 An initial announcement was made on Saturday by Saudi Minister of Energy, Industry and Mineral Resources Khalid Al-Falih. More details and an official announcement were made today at a forum in Riyadh, where Crown Prince Mohammed bin Salman was set to speak toward the end of the conference today. 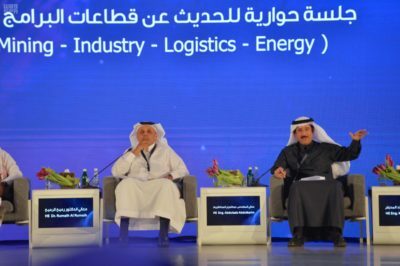 Panelists at the National Industrial Development and Logistics Program conference today in Riyadh. The move aims to build momentum for Vision 2030’s overarching goal of moving the Kingdom away from oil reliance and creating private sector jobs for Saudi nationals. The push includes investment in railways, airports and industrial projects by 2030. The Saudi Arabian government will spend 100 billion riyals ($27 billion) in 2019 and 2020 as part of its industrial development program, Reuters reports, citing Aabed Abdullah al-Saadoun, deputy minister of Energy, Industry and Mineral Resources.